Claw your way over the top of any mountain you have guts enough to point up. 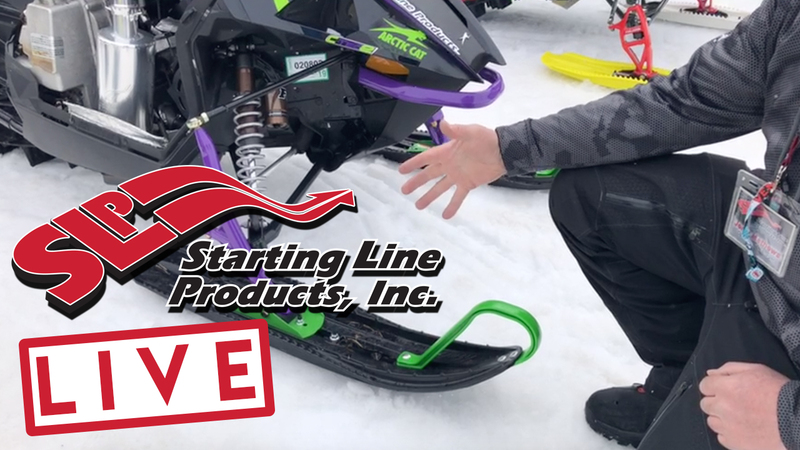 This Stage 4 kit gives you true “Over the Top” performance for 2018-19 Arctic Cat M8000. With an additional 21.4 horsepower this race inspired kit was originally developed for the RMSHA Hillclimb circuit where it proved to be extremely fast yet durable. This kit combines the SLP Single Pipe Kit, SLP Power Dome™ Head, SLP cylinder porting, V-Force 3 reeds, SLP Powder Valve™ kit, Power Commander V and SLP clutching. This combination not only provides great top end horsepower but throttle response is also incredible, and a firm grip on the bar (or Velcro™ gloves) is mandatory. Cylinders and exhaust valve guillotines, outer exhaust valves and exhaust valve pin must be sent in for modification. This kit is 91 octane pump gas compatible.